It’s only fairly recently that I (Leah) discovered that I actually like brie, especially brie and fruit (probably thanks to these sandwiches). Since I’m not a huge fan of cheese, I kind of turned my nose up at cheese paired with fruit when I was little. However, I have luckily realized that creamy, slightly salty brie is a perfect pairing with sweet fruits. 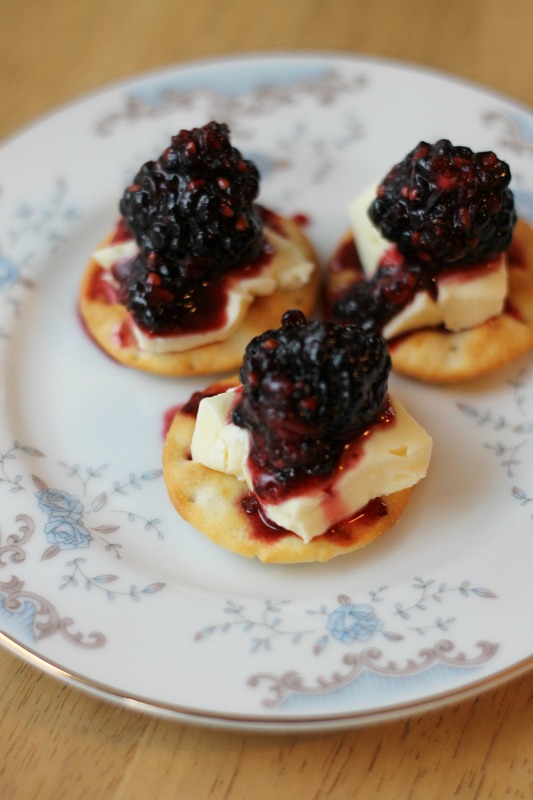 If you’re lucking for an easy appetizer to serve on Christmas, look no further! 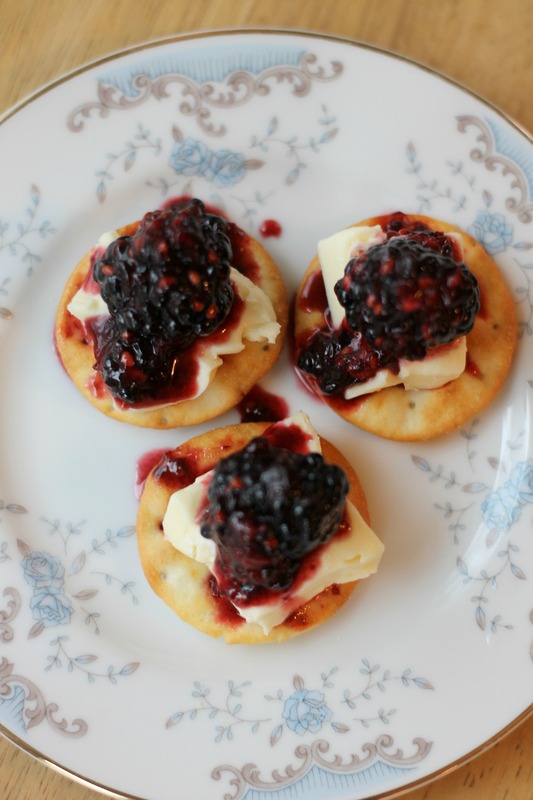 The blackberry compote takes under 10 minutes and then people can serve themselves; put out a plate of crackers, a wedge of brie, and a bowl of compote, and your appetizer is ready. This would also be excellent hot, as the original source shows, so I will be sure to try that next- I’m sure it would be fantastic! Merry Christmas, and we will be back soon with more recipes! Cook the water, sugar and lemon juice over medium heat in a small pan. Stir until the sugar dissolves, then boil the mixture until it is reduced to about 2 tablespoons. Place one cup of the blackberries and the syrup into a blender and allow to pulverize until smooth. Strain the seeds if you wish. Add the rest of the blackberries.